We don't make much of a living, but we've made wonderful lives. Joe is the foremost fishing expert in Pagosa Springs. Joe was born & raised in Pennsylvania and honed his fishing & guiding skills on the most diverse, technical, and fabled waters of American Fly Fishing History. Joe has also enjoyed a few years “tasting the salt” fly fishing inshore and offshore saltwater fisheries before venturing to Colorado to share his skills & knowledge with others and pursue the lifelong dream of living, outfitting, fishing, and hunting in Colorado. After years of fisheries management work, volunteering and organizing with other non-profit environmental & fishing based charities he has been inspired to dedicate the rest of his life to Sacred Water's Mission. Michelle’s passion for fishing is the best gift her Dad could have ever given her. He was the first person who took her fishing when she was four years old. The fish she landed was almost as long as she was tall. 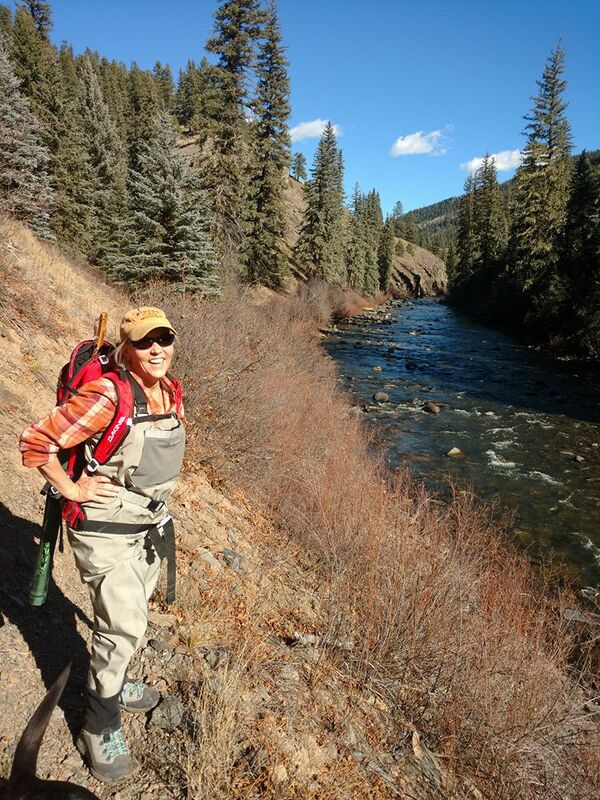 When she moved from the East Coast to Colorado, she traded a friend her saltwater surf rod for his fly rod. She made it her mission to be the best angler she could be. Michelle’s professional experience as a Corporate Trainer allows her to be a guide who will bring you to your greatest potential! Michelle says; “Passion for the outdoors is addictive – you just can’t get enough.” Once you breathe in that fresh crisp mountain air, walk in the woods and see your first moose or catch the biggest trout of your life, you are hooked. Michelle’s heart is full when she has the chance to share her skills with those who might get the experience other than by donating her time to organizations such as Project Healing Waters and Silver Spruce Academy. Stephen is a lifelong outdoor adventure enthusiast with years of experience in non-profit management and outdoor advocacy. He gained insight into the benefits and effects of small town tourism during his years on the Pagosa Springs tourism board. He has also served a term as president of the Pagosa Area Trails Council, an established local 501(c)3 non-profit that specializes in trails advocacy. 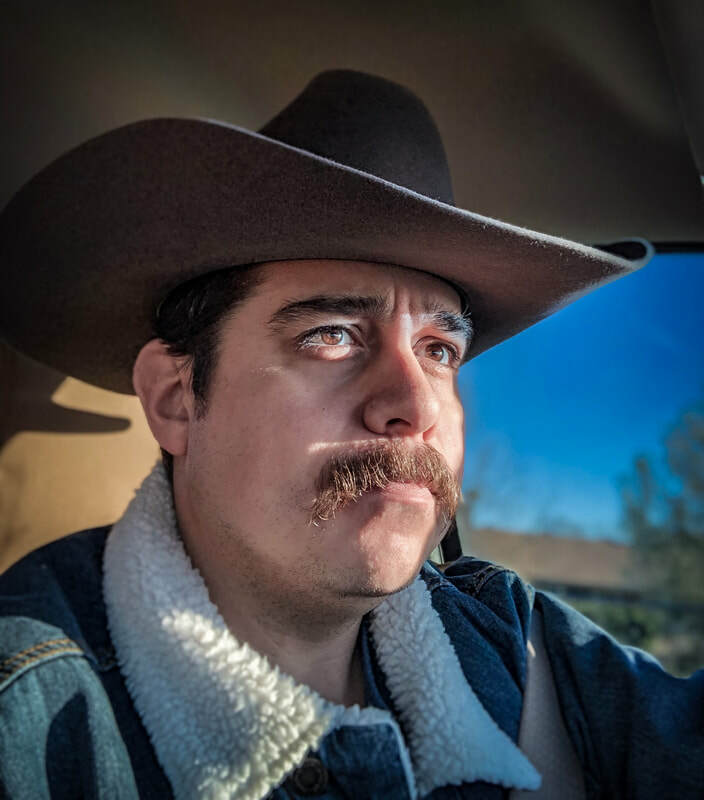 Stephen can also occasionally be found wrangling long pack trains of horses in the high country and guiding whitewater rafts down the San Juan river. ​Matthew was hooked on whitewater ever since he took his first raft trip as a child down the Chattahoochee River in North Georgia. Through his teenage years he honed his outdoor skills by climbing the beautiful granite and canoeing the amazing rivers in the Blue Ridge Mountains. After attending two years at Young Harris College in North Georgia, Matt decided to venture west and finish his college education receiving a Bachelor of Science in Geology from Fort Lewis College in Durango, Co.. Once out west Matt expanded his knowledge of hydrology through thousands of miles of exploration of the major waterways in the desert southwest and the Rocky Mountains. After working as a professional geologist Matt decided to dedicate his life to educating the public about watershed conservation through whitewater guiding and swift water training. As a certified whitewater instructor he has train countless boater how to read water and has volunteered with local search and rescue on several successful missions. Other than spending a lot of time on the water you might see Matt shredding some waist deep powder up at Wolf Creek Ski area or trying to wrangle his children up at his wife’s 1896 family homestead along the Middle Fork of the Piedra River. .Some of Jeff's Title is an inside joke around here... (goes hand & hand with our Guides vs Professional Anglers comments.) Jeff comes to us from San Angelo, TX. with a extensive business/entrepreneurial background. On a more serious note of the Outdoor Expert Title Jeff adds ideas, experience, and the like of many other outdoor recreational avenues being an all-around avid outdoorsman as a mountain biker, boater, snowboarder, hunter, shooter, and saltwater & freshwater angler. Jeff has been a wonderful cheerleader through the tougher times of whole founding of SWCO. Jon was born and raised in East Tennessee and as a result of his fishy disposition, he spent the vast majority of his time chasing anything that swims. He started out soaking worms and minnows from a dock and then graduated to throwing ultra light spinning gear for trout and fishing for what ever he could catch in Ft. Loudon Lake. He was introduced to fly fishing when he was eleven years old and didn’t look back for many years. The cold streams of the Smoky Mountains and the back waters of the lakes is where he cut his teeth with a fly rod. After high school, he moved to Colorado and for the next four years worked primarily as a fishing guide learning everything he could about trout, pike, and carp. When he moved back to Tennessee, he picked up where he left off and started guiding his local tailwaters. Slowly but surly he expanded his horizon and now pursues Muskie and Striper as often as Trout. He doesn't discriminate between species or gear, and loves to share his passion for catching fish and conservation. Willow is Sacred Water's Service Dog. Willow's been Guiding and providing happiest and emotional support to our community for 5 years now. 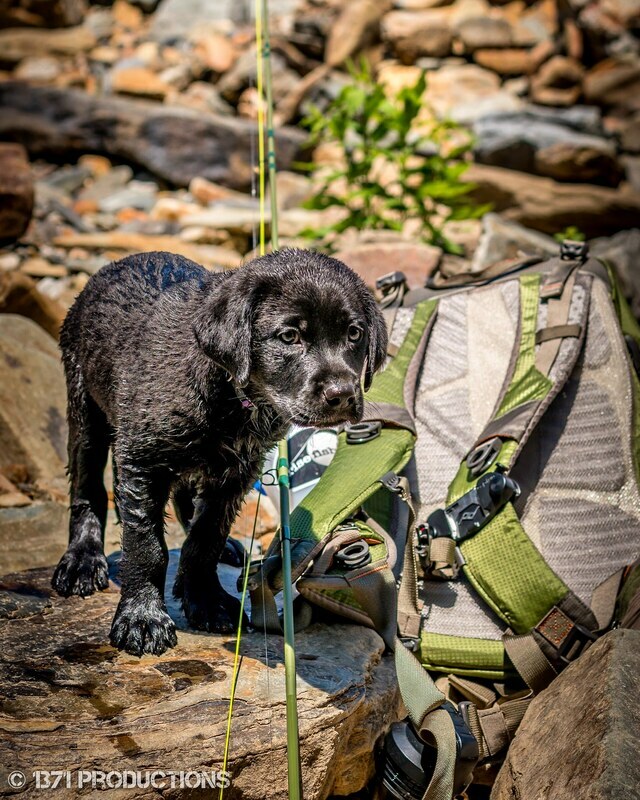 Willow's been fishing and accompanying guided fishing trips since her 1st day in the real world at 6 weeks old. So yeah she's got more experience than most so called Professional Guides around here do. When Willow's not working she's still out fishing, boating, hiking and/or upland bird hunting with her Dad (Joe) and their friends & family. 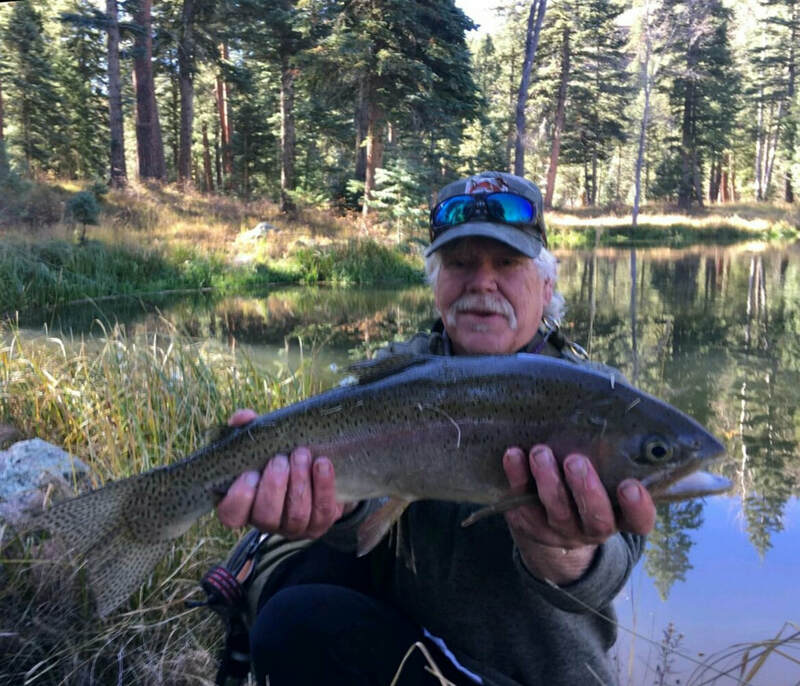 Dennis grew up in Southern California where he fished the lakes & streams of the Sierra Nevada's with his father who ha a great passion for all thing fishing be it fresh or salt waters. In his twenties Dennis moved to Mexico to operate a Light Tackle Charter Boat Guide Service for all Saltwater Game fishes large or small. After having two children Dennis & his wife decided to move back to the US where he refocused on finishing his other passion in life by finishing his Martial Arts Studies in Kung Fu. After reaching his goals and becoming a SiFu (Teacher) Dennis spent many years teaching Kung Fu. He then decided to move to Colorado to rekindle his love of flyfishing. Dennis began learning the lakes & river of SW CO. while doing so met our Founder Joe and was asked if he'd like to volunteer to help with some Veteran's Fishing Programs and the passion was fully rekindled after be able to bring smiles on the faces of many through fishing & teaching again. Dennis's laid back demeanor and Zen like approach things and lifestyle has made him a top notch teacher (guide). ​Joanne Whitney has been a resident of Pagosa Springs since 2014 coming from the Midwest. Her passion for the mountains comes from her first visit over 25 years ago and found Pagosa though a contract she was working in New Mexico. Through many years of work within corporate environments Joanne is applying business background in program/project management, operations and process support to businesses within the community. The belief of service and supporting the community in which one resides has resulted in current work within Pagosa Springs and Archuleta County with the Pagosa Housing Partners as a consultant supporting the affordable housing efforts. Violet is Willow's Daughter being raised the same as her mother you will all see her well into the future here at Sacred Waters CO.
​Raised in Alaska, fishing the Kenai Peninsula his entire childhood, Rod was raised with a deep appreciation for nature. 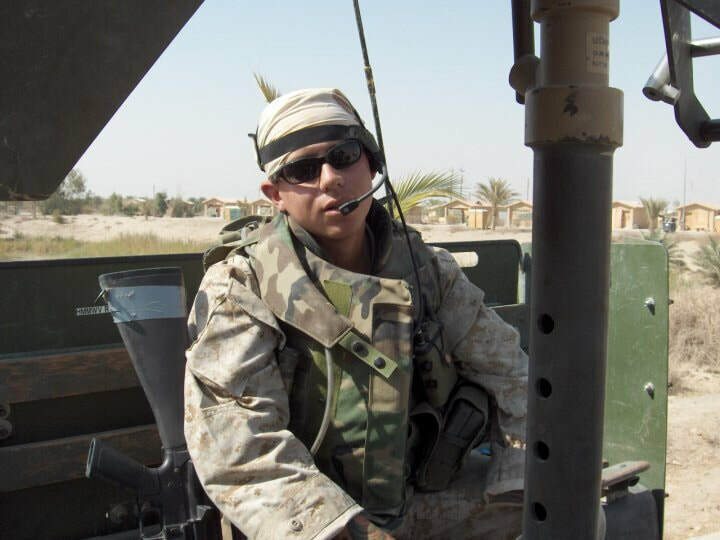 Leaving home at eighteen to become a Marine, he saw the beauty and conflict of the Middle East from the front lines. After serving three combat deployments to Iraq between 2002-2006 including major battles such as Fallujah in 2004, he found returning home was a journey that did not end after the flight. Years passed as Rod searched high and low for anything to help him learn to cope and heal from the psychological wounds of combat. Eventually, ten years after he left Alaska, he returned to his childhood love of fishing. Since then he has spent time fishing with many people through the continental United States and working with organizations such as North Texas Patriot Anglers as their Director or Veteran Development and Healing Waters North Texas starting their fly tying program in the DFW metroplex. Learning again to enjoy the beauty of America’s waters. Through his travels, Rod found that Southwestern Colorado held a similar charm that he grew up with in Alaska and it quickly became his favorite place in the United States to fish and heal. Rod’s day job is a Project Manager in the construction industry, he lives in Decatur Texas with his wife and two kids. And yes he wears a Stetson.